These terms and conditions (the “Booking Contract”) are between and shall bind the property owner or manager (“we”, “us” and “our”) and the holidaymaker(s) who book our property (the “Property”) . Each such booking is referred to in the Booking Contract as a “Booking”. References to “you” or “your” are references to the person making the booking and all members of the holiday party. Any Booking is subject to the Booking Contract. This Booking Contract and our confirmation email contain the entire agreement between us and you and forms the basis of your agreement with us so please read them carefully. or • issue us with a booking request form via the Website (“Booking Request Form”) and pay the full payment or Initial Deposit for the Property as well as the booking fee. 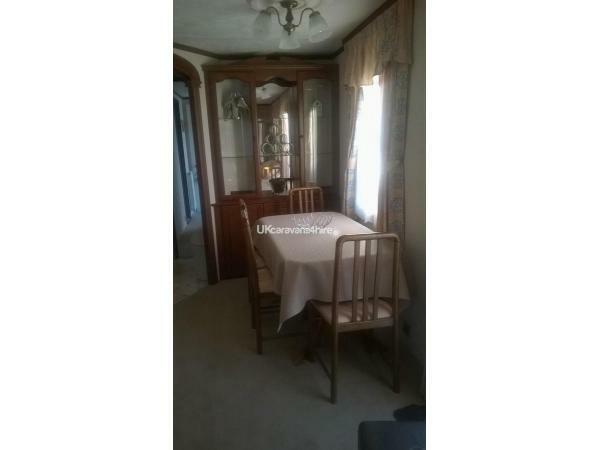 The Booking shall be made and this Booking Contract shall be effective when we have received the full amount payable for the Property or the Initial Deposit as well as the booking fee. If the Quote or Booking Request Form requires that you: • make a payment in full, then you must pay the full amount for the Booking and the booking fee by the due date; or • pay an initial deposit (the “Initial Deposit”) followed by a balance payment (the “Balance”), then you must make both payments within the specified time periods. You shall be required to pay the applicable damage deposit (the “Damage Deposit”), cleaning fee and/or any other fees (“Other Fees”) as set out in the email confirmation as part of your payment in full or your Balance payment (as applicable). You should carefully check the details of the Quote or Booking Request Form before making any payment regarding your Booking, as well as the confirmation email and inform us immediately of any errors or omissions. Paying for your Booking Where you have only paid the booking fee and an Initial Deposit, you are required to send your payment for the Balance and you may be required to pay the Damage Deposit and/or Other Fees within a certain period prior to the arrival date specified in the email confirmation (the “Arrival Date”). If you fail to make the balance payment due to us in full and on time we shall be entitled to treat your Booking as cancelled by you and the Cancellation Policy (as defined below) shall apply. If you cancel or amend your Booking If you need to cancel or amend your Booking you must write to us or email us as soon as possible. The link to your Booking page in the confirmation email will also enable you to submit a cancellation through the Website, however, you should contact us first before cancelling in this manner. A cancellation or amendment will not take effect until we receive confirmation from you. The cancellation policy described in your email confirmation (“Cancellation Policy”) applies to your Booking and we will refund any amounts due to you in accordance with the agreed Cancellation Policy. In the event that: • any Balance required from you is not paid in accordance with the timeframes set out in the Cancellation Policy; or • you do not arrive at the property within 24 hours of your arrival time without notifying us, then we shall be entitled to treat your Booking as being cancelled by you and the Cancellation Policy shall apply. If this does happen, we will contact you as soon as is reasonably practical and inform you of the cancellation or the change to your Booking. If we cancel your Booking, we will refund you any fees you have already paid to this site. However, we will not be liable to refund you for any fees you may have paid to any third party in connection with your holiday (including, without limitation, fees for travel, entertainment, activities or insurance). You can arrive at the Property after 3pm and before 6pm on the Arrival Date for your holiday and you must leave by 10am on the departure date we give you, unless prior permission is provided by us. If your arrival will be delayed, you must contact the property so that alternative arrangements can be made. If you fail to do so you may not be able to gain access to the Property. If you fail to arrive by midday on the day after the Arrival Date and you do not advise the contact of your anticipated late arrival we may treat the Booking as having been cancelled by you and we shall be under no obligation to refund you for fees already paid to us. Please see the Cancellation Policy for further details. You agree to comply with the regulations set out in any property manual at the Property and any other regulations reasonably specified by us from time to time and ensure that they are observed by all members of your party. 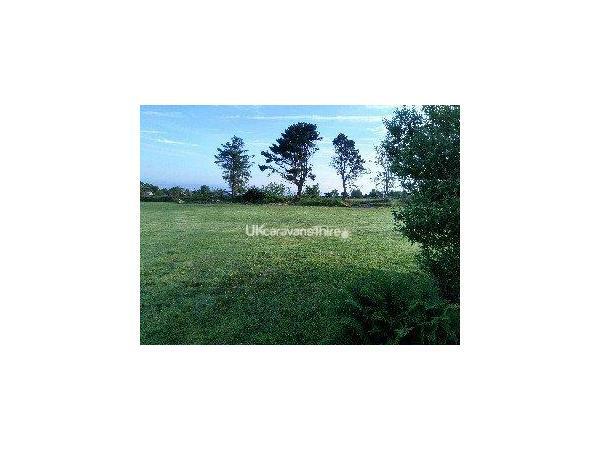 Removing all rubbish from the property prior to your departure and recycling all rubbish. 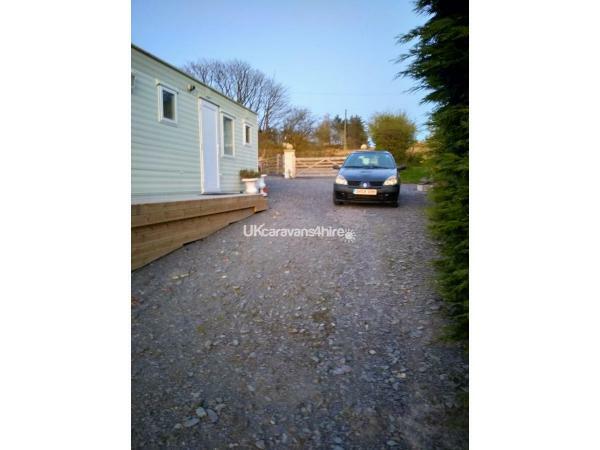 You agree to take good care of the caravan keys and gate remote provided or a charge will be made for the loss of one or both, of £30. You agree not to cause any damage to the walls, doors, windows, furniture, carpet or any other part of the Property, whether maliciously or without consideration of due care, nor to do anything that may be reasonably considered to cause a nuisance or annoyance to us or to any other occupier of adjoining or neighbouring properties. You agree to take all necessary steps to safeguard your personal property while at the Property. You agree to ensure that each member of your party is covered by comprehensive travel insurance (including cancellation, flight delays, loss and damage to baggage and other property) and health insurance (including evacuation and repatriation coverage). You cannot allow more people to stay in the Property than expressly authorised, nor can you significantly change the makeup of the party during your stay in the Property, nor can you take your pet into the Property. If you do so, we can refuse to hand over the Property to you, or can require you to leave it. Property at any reasonable time during your stay for the purpose of essential repairs, in an emergency or to ensure you are complying with this Booking Contract. 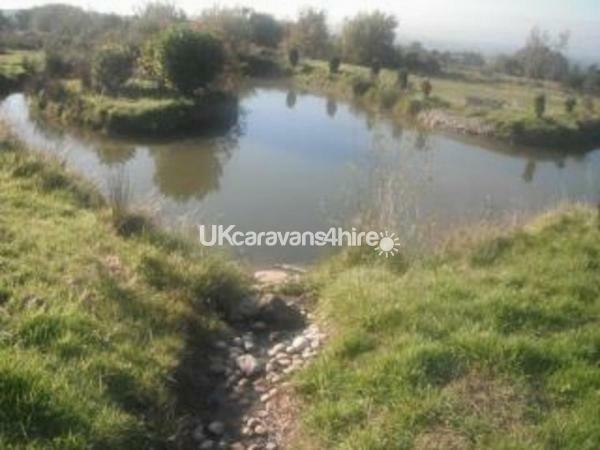 Your damage deposit will be retained if the caravan is not left as you found it. A cleaning charge of £30 will be made. If you inform us of damage, an amount equal to the damage will be retained from the damage deposit. If damage is found by our cleaner and we have not been informed the entire deposit of £30 will be retained. If damage amounting to more than £30 is done we will request that this is paid in full in cash or a replacement of equal standard is made prior to your departure. IF this is not done we will reserve our right to seek damages in the civil court. Every effort has been made to ensure that you have an enjoyable and memorable holiday. If however, you have any cause for complaint it is important that remedial action is taken as soon as possible. It is essential that you contact us if any problem arises so that it can be speedily resolved. It is often extremely difficult (and sometimes impossible) to resolve problems properly unless we are promptly notified. Discussion of any criticisms with us whilst you are in residence at the Property will usually enable any shortcomings to be rectified straightaway. In particular, complaints of a transient nature (for example, regarding preparation or heating of the Property) cannot possibly be investigated unless registered whilst you are in residence at the Property. If any complaint cannot be resolved during your holiday, you must write to us or email us with full details within 28 days of the end of your Booking. For the avoidance of doubt, you shall always contact us and not Holiday Lettings if you have any complaint in relation to your Booking or the Property. If you would like to enquire about your holiday or available dates please include a telephone number and the number of adults/ children that will be staying. A child is Under 18. This website does show availability and pricing per night or per week, but if uncertain you are welcome to contact me first by calling or texting 07790 166038 or completing the Enquiry form. I will get back to you as soon as I recieve the enquiry. Should you wish to book and your dates are shown as available please pay 50% of the cost price as a deposit to ensure these dates are reserved for you. If there is less than 8 weeks to go until your booking the entire amount is due. 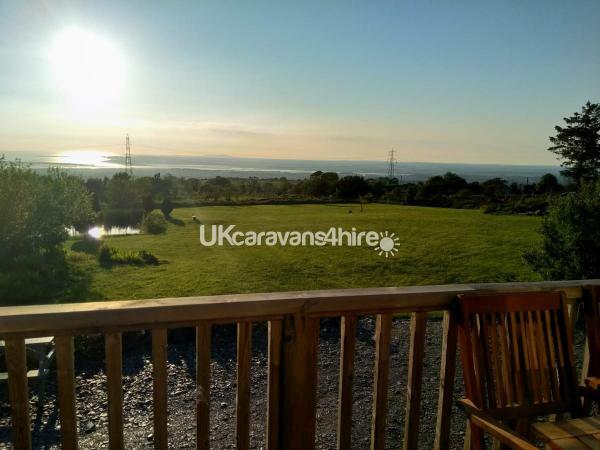 We have a lovely 2 bedroom static caravan for rent in a quiet village just 4 miles from Caernarfon, North Wales.The static caravan is sited alone on our own private two acre garden with two small lakes, and absolutely stunning views of the Menai straits, Caernarfon castle and the Isle of Anglesey. 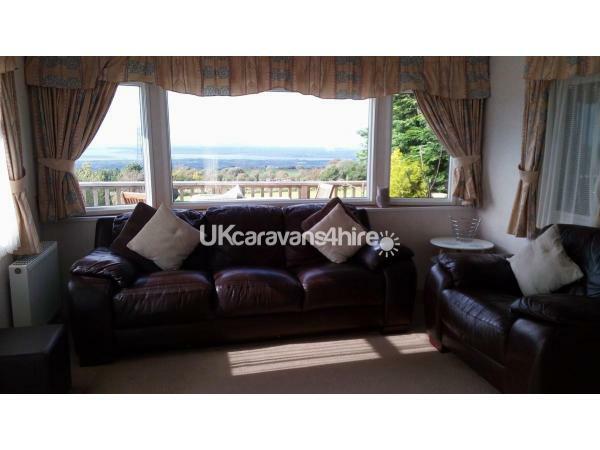 Superb year round accommodation in North Wales.Come and sit out on a balmy summers evening, have a barbecue and watch the fabulous sunsets.The caravan is very well appointed with a TV/DVD, gas fire, and plenty of comfortable seating in the lounge area, dining area , a kitchen with full size cooker and fridge, gas hob, microwave, kettle and toaster. 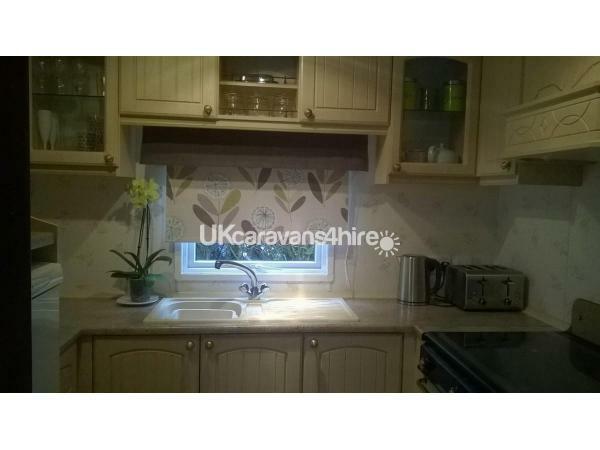 There is also an iron, ironing board, pressurised shower, flushing toilets and hot water on demand. 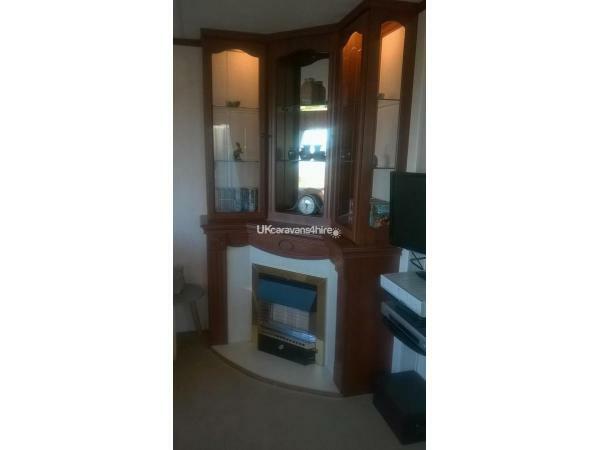 There are radiators throughout.. 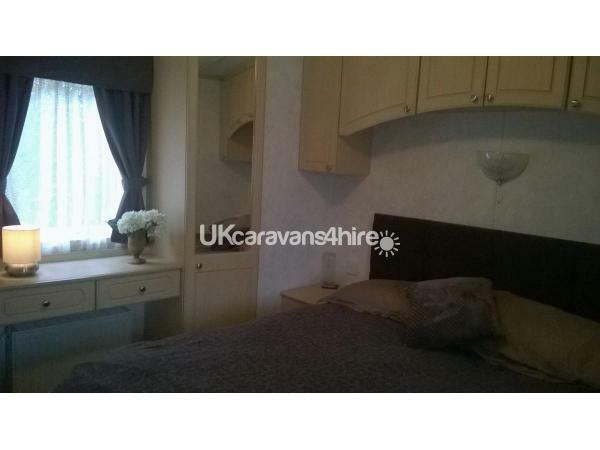 The static caravan has 2 bedrooms, 1 master en suite double bedroom and one room which can be a double or twin room. .We have a heron who regularly visits our lakes. Our water supply is from an artesian well 100 foot below ground in the Welsh bedrock. This is very pure water but for our visitors safety it is tested annually.Please bring tea towels and towels, new £1 or £2 coins for the electric meter and a £5 note for the gas card. We have free range chickens that will always provide fresh eggs for your breakfast. 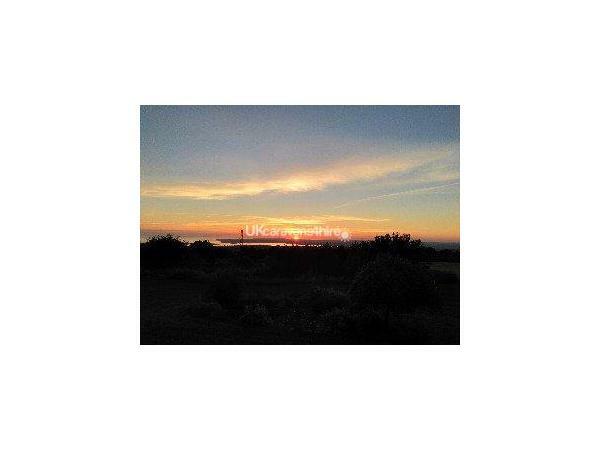 Just had christmas at this property, wow the photos really dont do the views justice. Slept really well it was so quiet. Caravan was really well equipped which was great as we didnt feel we had to go out to eat. Stayed in and enjoyed the peace. 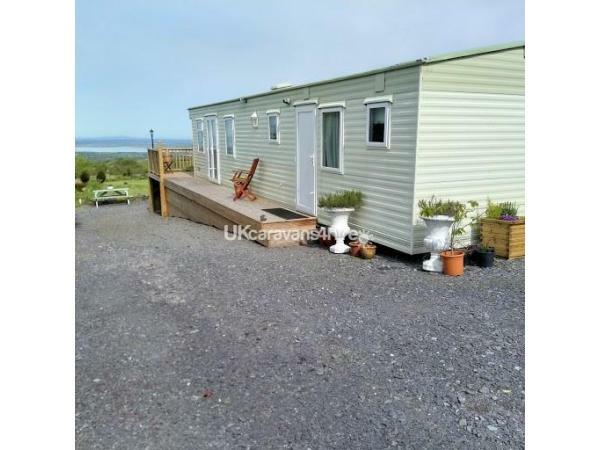 Jackie and Nick are really lovely and helpful but left us to our own devices unless we needed advice.Would really recommend this caravan, it is the best caravan we have ever stayed in it is really homely and very warm. The gas and electric were also nominal, no need to worry about high gas /electric costs. Thank you Martin, I have just received your booking for the summer, it will be lovely to see you again.You are always welcome. What a fabulous place to stay , we have had a great time. 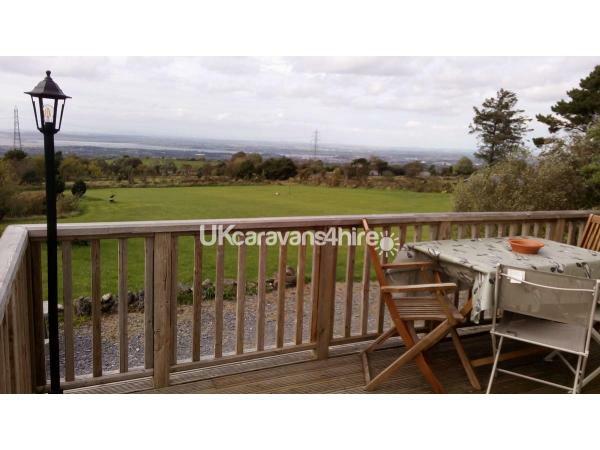 The views from the decking are amazing and the children loved playing with the cats and chickens.Everything you could need is supplied in this caravan and it is very central to anywhere you would want to visit. We will certainly be rebooking for 2019. Thank you Jackie and Nick for a wonderful stay. Thank you. Hope to see you next year.